Orofino really does not have a bad side; this site is perched directly on the banks of the Clearwater River! Please stop by in the Main Office on your way in or out. We are pet friendly...Pets are 1$ per day per pet. 2 pet maximum per site. Please keep your pets on a leash and pickup after them. 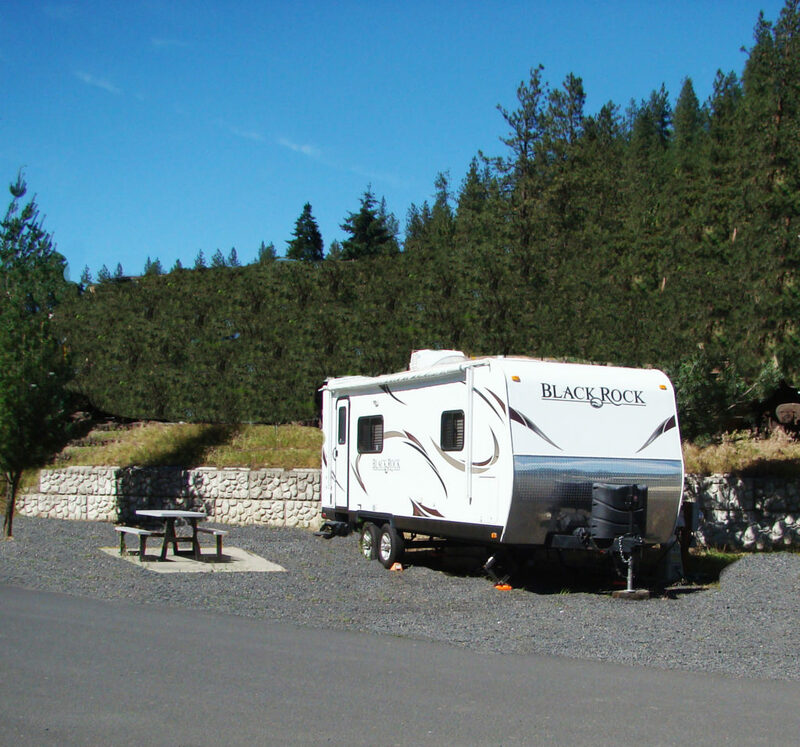 Enjoy the serenity and beauty of the Clearwater River while you vacation at Clearwater Crossing RV Park. 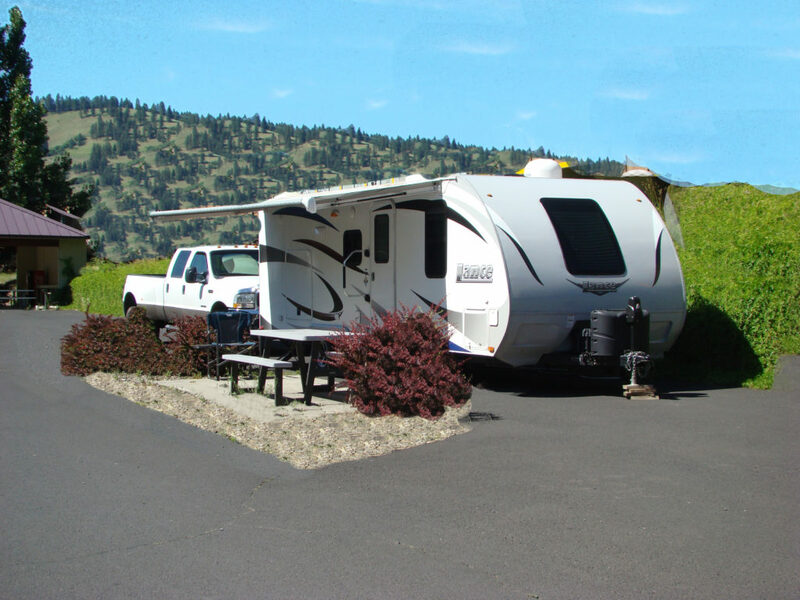 Our RV Park is located on the banks of the Clearwater River; just off Highway 12 in Orofino Idaho. You are sure to enjoy the beautiful view of the river as well as the surrounding mountains and astounding sunrises and sunsets! We provide tables at each site and access to our public showers, restrooms and laundry facilities. With each reservation you are welcome to use our open pavilion, fire pit and barbeque station. We also have an amazing fish cleaning station. These sites are in the middle before and after the office. Since they are in the middle of the park, they are considered prime. Although every spot has a great view… these spots are considered the “best spots” in the park. These are also closest to the building with the facilities which are a preference for some. The front middle spots are 60 feet to 68 feet in length. The back middle spots (after office) are 51 feet to 54 feet in length. We are pet-friendly: So please keep your pets on a leash and pick-up after them. The climate in the Orofino area provides activities for all 4 seasons. You will find things to do for every member of the family. We are located on the Lewis and Clark Trail which provides an abundance of history along Highway 12 and the Weippe Prairie. This site is nestled into our Mountain Side; located right next to the main buildings. 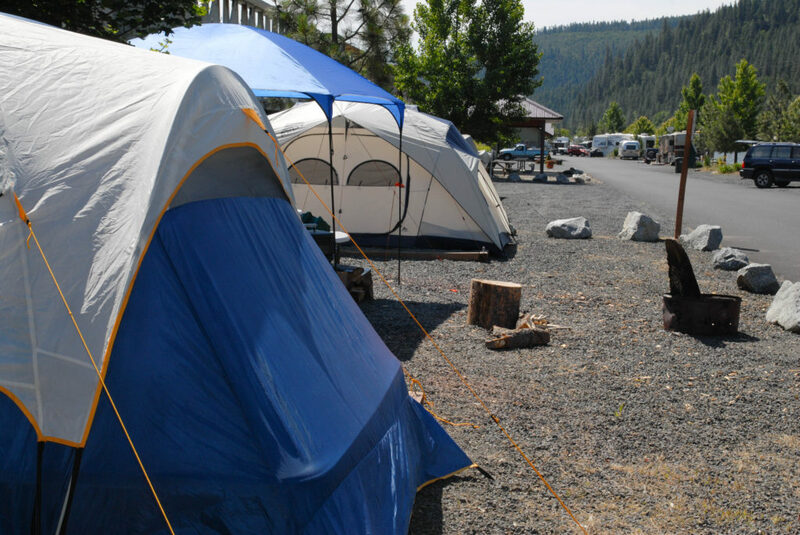 We have 6 prime tent sites here at the park! There are picnic tables at each site, showers, restrooms, and laundry facilities, open pavilion, fire pit, barbecue, and fish cleaning station. There are 3 of these sites in the FRONT of the park (range from 67 feet to 79 feet in length), and 3 of these sites in the BACK of the park (range from 50 feet in length to 54 feet in length). These sites are located on the right-hand side as you enter the park. Orofino really does not have a bad side; this site is nestled on our Mountain Side!